Hi, I am John Palmer-Snellin and I welcome you to my exciting family business! My relationship with you will be personal, in a good way, because I guarantee to give you one to one service. Your will be made up by me, and sent to you swiftly. Your feedback helps shape our awesome business. How? Because your ‘contact us’ questions come directly to me, I always offer you my personal attention. After all, I am working for you and your dogs pleasure to guarantee success for us all! Please feel free to contact me directly on our form below. Your communication with us is important so I aim to respond within a day and but challenge myself to be quicker! After 12 years as the lead Wildlife Officer for Dorset Police, I have the knowledge, experience and absolute passion to help you, and deliver a fast, quality, professional service. Please feel free to ask any questions to do with dogs, deer or a multitude of other wildlife and domestic animal issues. With your feedback I can totally focus on our business aim. 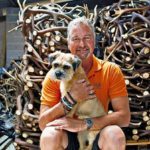 Put simply – TO OFFER YOU AND YOUR PET THE VERY BEST TOP GRADE, NATURALLY FALLEN, DEER ANTLER DOG CHEWS. Since beginning Staglers in early 2013, I have researched, sourced, hand cut the antlers myself, labelled, packaged & dispatched – and met lots of fascinating people! My promise to you – STAGLERS – one of the best, 100% natural, eco-friendly, edible dog treats on the market. Further, they are both hypo-allergenic and gluten/fat free and compliment dogs who require a special diet – RAW/BARF etc. Remember chewing can help clean teeth, remove plaque and improve the condition of their gums. Best yet, they are durable and feature an appetising scent irresistible to dogs. Good old fashioned letter is also welcomed. A huge thank you for the very fast delivery. I purchased a medium sized antler after a recommendation from my fiancee. My West Highland Terrier, was initially puzzled by the antler but after two minutes he was proudly carrying it around as if to show it off as his new possession and then settled down to some serious gnawing and chewing. Very fast delivery and highly recommended indeed. Recived my order today , thanks prompt delivery, hopefully the mutts will enjoy the new biscuits in their Christmas stockings as much as they enjoy the antlers . Cheers Tara, thanks for the very kind comments – Happy Christmas to the mutts!!! WHOLE DEER STAGLER AT 75 PAUN , MY QUESTION IS HOW MANY WHOLE DEER ANTLER INSIDE THAT PACKAGE. DO YOU SHIP TO MALAYSIA, I AM INTERESTED TO ORDER SOME IN FUTURE. George, thank you for getting intouch. The price was for 1 antler approx 1.5kg. We are unable to ship outside the UK at the moment. We are pleased to say we have spoken to Judith and the confusion is cleared up over delivery and her dogs are now enjoying Staglers. I trust it will be months before they finish them! Thank you for your order Donna! Great products, great service. My puppy thanks you (as do I)! Thanks so much Anna, your comments mean alot to us! We are so glad your puppy is happy too. We are sad that you feel this way. We clearly state SOLD INDIVIDUALLY, the number of items is clearly shown in the cart and in the sales process. The proof will be “in the chewing” when you realise our chews outlast the more inferior products you find in chain stores.